I am trying to update a site so I can share it with some other developers using Team Services. 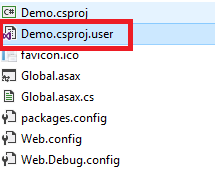 I updated a number of NuGet packages and all was OK, then I updated Microsoft.AspNet.Razor from 3.0.0 to 3.2.3. The update installed and/or updated a number of dependencies. Since then the site will not run. When I try to edit the lines with the errors, only lets me enter members of HtmlHelper. I have looked for what Partial was a member of without success. I have also tried to revert the Razot and other NuGet packages but only got deeper into the can of worms. did you try to check the version entries in Web.config file. check it and if those are not correct then try to correct it may solve your issue. 3. 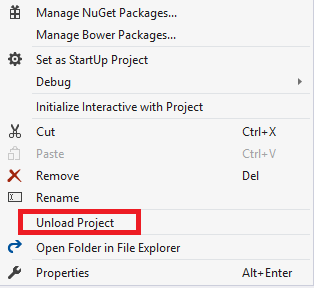 Delete the .user file that Visual Studio generated next to the project. Thanks for the reply. I double.checked all of the entries in the web.config file and could find no inconsistencies. I am working on reverting all of the updated packages and references. Thanks for the detailed reply. I followed the instructions and there was no change. I have found an old version of the packages.config file and I am working on putting all of the packages back the way they were. Any more clues would be most welcome. please try to make a new project for testing purpose and try to include the newer version of nugget razor in that. check whether it is working correctly or not. if it is working correctly then you can try to copy all contents from current project to new project to solve the issue. let us know if this suggestion work for you or not. we will try to provide you further suggestion , if needed.